ALL THIS FOR UNDER $300,000?!!! 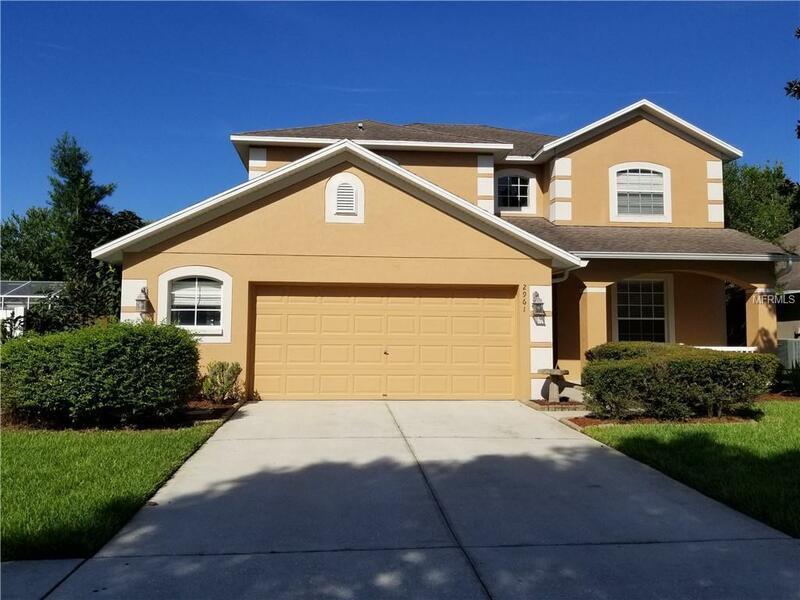 Beautiful Open Concept POOL Home in Desirable Twin Lakes neighborhood of Valrico. This home has tons of perks such as screened lanai, fenced yard, vaulted ceilings, bonus room and oversized 2-car garage. Tropical Oasis backyard with mature palms with oversize upgraded pristine Pebble Tec Pool/Spa Area. Tons of natural light and ceiling fans throughout. Kitchen is a chef's dream with upgraded appliances, bay windows with newly installed granite and upgraded matching tile. Large flex room with French Doors perfect for an office, den, playroom or 4th bedroom. Brand new wood-style tile floors throughout 1st floor. Irrigation in place using reclaimed water will save on your monthly water bill--brand hot water tank installed in 2017. Get in this neighborhood today for a great price. A++ school district. Community of Twin Lakes features wide streets, soccer field, tennis courts, community pool, playground, and a beautiful park with on-site barbecue grills and playground areas. Two large Twin Lakes used for fishing, walking, jogging or biking. Highly sought out great community. Consider this beautiful home yours today by simply scheduling a showing. Additional Lease Restrictions Buyer To Verify All information With Hoa.